Pakistan announced Friday that it will monitor Yahoo, Google, MSN, Hotmail, YouTube, Amazon, and Bing, and will block links and content that it deems anti-Islamic. “If any particular link with offensive content appears on these websites, the [link] shall be blocked immediately without disturbing the main website,” Pakistan Telecommunication Authority spokesman Khurram Mehran told the Associated Press. 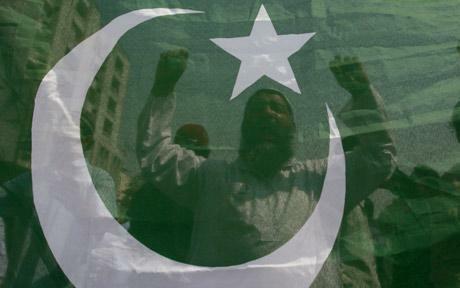 In addition to the link-blockage of the seven named high-traffic sites, Pakistan web-watchers have also completely blocked 17 lesser sites, including, for example, Islam Exposed, which includes links to blaspheming articles such as “Muhammad, A Symbol Of Terrorism” along with over-the-top posts such as “Joe Lieberman Spews Excrement!”. The monitoring and blockage comes in response to a court order, as did Pakistan’s recent ban on Facebook due to its hosting of an “Everybody Draw Mohammed Day” page — a page that was subsequently taken down, although Facebook officials claimed to have had no part in its removal. The complete banning of Facebook was lifted after censorship official Najibullah Malik was satisfied that the site had lifted all all “sacrilegious material”. In addition to the Facebook ban, Pakistan last month blocked, then unblocked YouTube for depictions of the prophet Muhammad, a practice that many Muslims find blasphemous. “We decided that this kind of information was going to hurt people’s feelings. We have directed the [Pakistan Telecommunications Authority] to block all and any sites that display those caricatures,” Malik told The Guardian at the time of the YouTube ban. 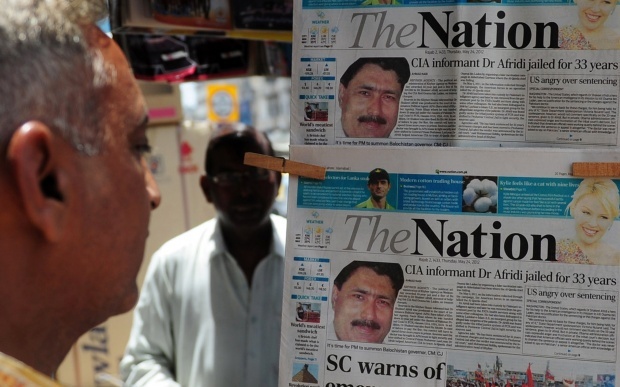 Despite lifting the Facebook and YouTube bans, Pakistan hasn’t given up its censorship efforts. “At least 800 individual web pages and URLs have been blocked since the government’s orders to shut Facebook and YouTube,” Wahaj us Siraj, a spokesman for the Internet Service Providers Association of Pakistan (ISPAK), told AFP. In perhaps the most bizarre development in the country’s campaign to remove blasphemy from its interwebs, Pakistan’s Deputy Attorney General recently launched a criminal investigation against Facebook founder and CEO Mark Zuckerberg for his role in the “Everybody Draw Mohammed Day” dust-up. Although no charges have been filed in the case, the Pakistani newspaper The News International reports that the law that prompted the Zuckerberg investigation, Section 295-C of the penal code, carries with it penalties of “death, or imprisonment for life”. And it must also be noted that the more extreme members of the Muslim world aren’t alone in taking angry offense at what they perceive as “blasphemy”. Remember, for example, the hue-and-cry that resulted from artist Chris Ofili’s elephant dung–encrusted The Holy Virgin Mary, or the attacks on the US National Endowment for the Arts over works such as Andres Serrano’s photograph, Piss Christ. But, to be fair, we must also note that neither Ofili nor Serrano were subject to a possible government-sanctioned death sentence.